If you’re offering an online “complaint box” for customers to voice concerns or issues about a product or service, or if you’re using one yourself, you need to know that a plan for managing these comments is absolutely essential – lest you be surprised later on. It’s very difficult to get any potentially brand-damaging comments about your company removed, and this process in itself can cause great brand damage (not to mention costing thousands of dollars in lost revenues). Surprise: That was enough to elicit a response from the company informing the Palmers that they were being fined $3,500 for the negative online review. Kleargear, which appears to have included small print in its online reputation management approach, said the Palmers had violated their non-disparagement clause and that if they didn’t pay the fine, credit bureaus would be notified of the delinquency. Kleargear gives people a chance to avoid the fine by having the comments taken down within 72 hours. Ripoffreport.com, in our online reputation management experience, and unfortunately for the Palmers, does not take down negative reviews. It will amend reviews if some resolution has been achieved, yet the original nastiness will remain on the site forever. Court orders haven’t always influenced removal, and there are still Google search issues on the scene. This means that negative comments, even if they aren’t accurate, may remain online forever. Fact: Once a reviewer offers an opinion, it’s in the hands of the site on which the review is posted. The website owners have every right to let anything that’s said remain on their site because the review has become public domain. Just because you want something removed doesn’t mean it has to happen (think First Amendment rights). Most compliant website officials will tell you that you can’t erase history, so be advised when requesting a removal. In the case of Kleargear, stories and news investigations into the issue involving attorneys may continue to damage its brand and leave audiences with a bad taste. Was Kleargear out of line on its approach, or was the company only protecting its public image? While the “fine print” about its policy toward negative comments can be called elusive and even unrealistic, the fact is that a clear and distinct online reputation management strategy is essential for any organization, including yours. This can include the way your policies toward consumers are addressed to minimize negative backlash, the way you work with media (and media relations) if a complaint does escalate and the way you handle any comment removals and how you distract attention away from them so that they don’t heighten negative responses. Armed with this knowledge, and the reality that consumer complaints are an ever-present and increasingly growing online fact, it’s clear that online reputation management is an extremely important process for every company to address. Are you dealing with a damaged online reputation due to too many customer complaints, and need a strategy to handle them? Contact Axia Public Relations about our Reputation Restore program. We’ve carried out this process successfully for many clients, including bumping several brand-damaging comments much further down the Google search list and giving organizations a second chance to make a first impression. 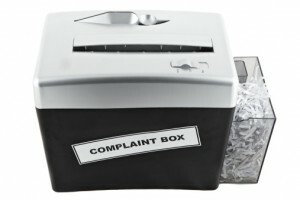 Let us help you manage your online complaint box in a way that gives you high-value, impactful results. Jason Mudd, APR, is the CEO of Axia Public Relations and an Emmy-Award-winning accredited public relations practitioner, speaker, author and entrepreneur. His public relations portfolio includes work for established national and emerging brands such as American Airlines, Dave & Buster’s, Brightway Insurance, Florida Blue, H&R Block, Hilton, HP, It Works! Global, Miller Lite, New York Life, Pizza Hut, Ray Charles and Verizon.